Not heard of Tryonic? Owned by Rev It, the technical team from Tryonic have grown up in the world of extreme sports, from motorsports to winter sports. What they have done is take the technology that protects your head and is built into any crash helmet, and adapted it for use as protectors. 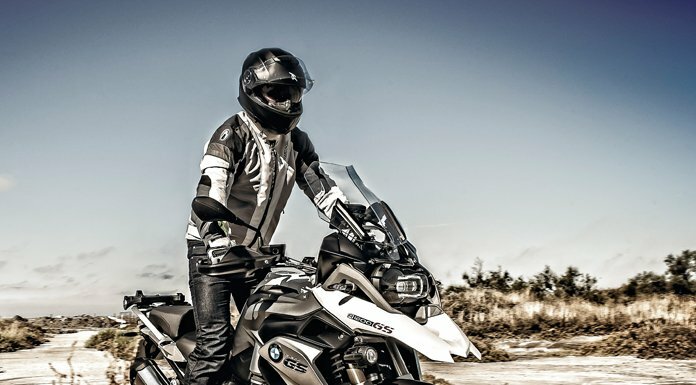 That does two things for the Tryonic Feel 3.7 motorcycle back protector: CE Level 2 impact absorption is the highest in the market place (that is what the 3.7 stands for); And wearer comfort, due to its unique construction, lightweight components and ergonomic features is second to none. The patented Tryonic Vertebra joint system connects the polypropylene outer shells, forming a rigid impenetrable shield and at the same time allowing for an unsurpassed freedom of movement. The EPS inner core ensures the class-leading energy absorption (< 4kN energy are released, well within the CE Level 2 norm of up to < 9kN energy release). Another unique feature is the patented adjustable belt closure, ensuring a perfect fit for every rider. It is one of the most comfortable back protectors for high activity or hot weather riding due to the CoolMax mesh fabric in the back. But it also performs up to minus 20 degrees Celsius (which makes it perfect for a variety of winter sports activities as well, and that is well into the temperature range where other protectors stop functioning).